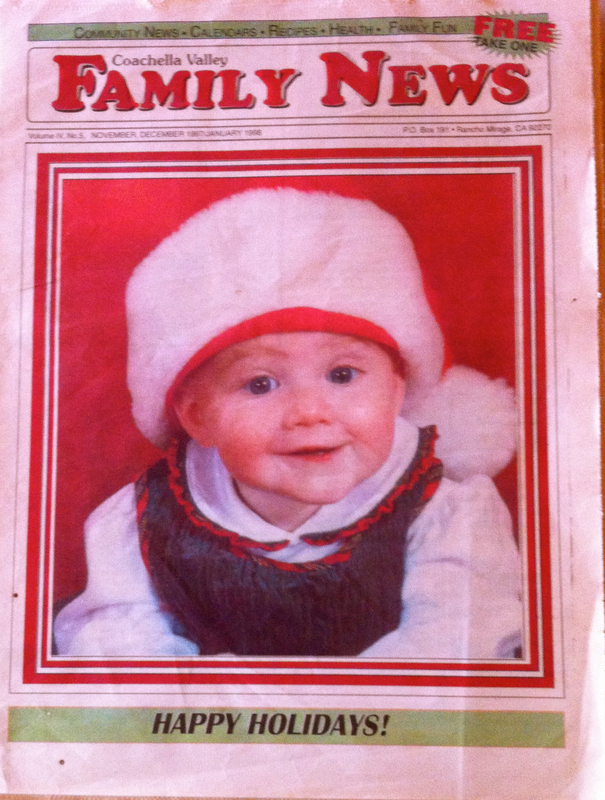 My baby girl’s first Christmas photo made it on the cover of the monthly parenting magazine. My daughter is coming home for Christmas break tomorrow. I’m excited and a little anxious. Her last final is today for her first semester of college out of state. I’ll admit that I stalk her on Facebook and Twitter. She doesn’t look like the same little girl who left for college in August. When I talk to her on the phone, she doesn’t sound the same, either. I remember going to orientation with her last July at the University of Utah. There was one talk I especially liked, “Supporting your College Student” presented by Dr. Kari Ellingson, Associate Vice President, Student Development. Ellingson said that during the freshman year our kids learn to become themselves. They will be grieving and letting go of high school friendships, but will build new and deeper ones. A main developmental issue is finding their identity. Their core stays the same, which has been developing over the past 18 years. But, how they express themselves changes. They may try on new identities by copying new friends to see how it fits or feels. You may say to yourself, and hopefully not to your child, “Who the hell is this?” Then you meet their new friend, and say to yourself, “Oh, now I see who this is!” Which makes me wonder — who has the ear cartilage piercings (and now my daughter asked about getting one!) Why does she tweet that she wants to dye her gorgeous red hair brown? Is this why she’s best friends with a couple teammates one week and then inseparable with a new one the following week? Thanks to Ellison, I can see she’s quite normal. I may not like it. But, she’s trying out new things to find out who she is. It’s going to be my job to not make a big deal out of the little things. I can’t keep her my little girl forever. 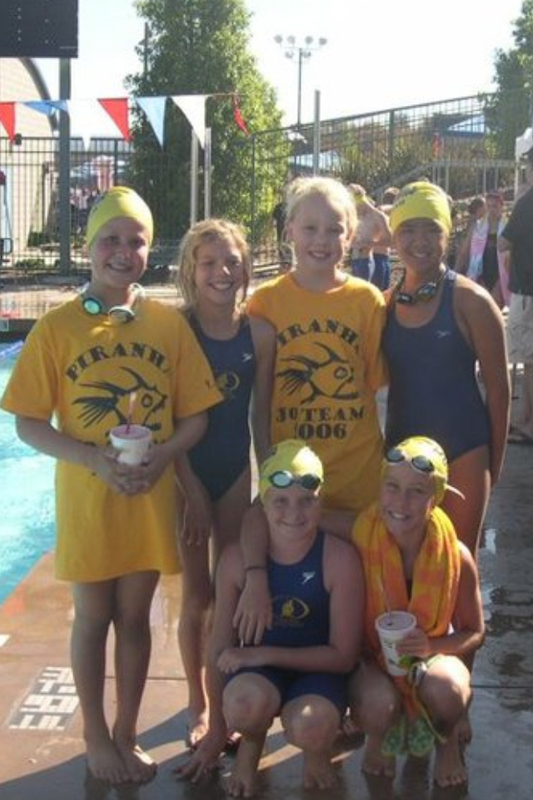 My daughter and teammates at 2006 Junior Olympics. This is what I have to say about finding out who you are: “To thine own self be true.” Don’t worry about what other people think. Do what you know is right. Be your own person. I’m afraid she’s working too hard to fit in. By being herself, she’ll fit in where she needs to be. 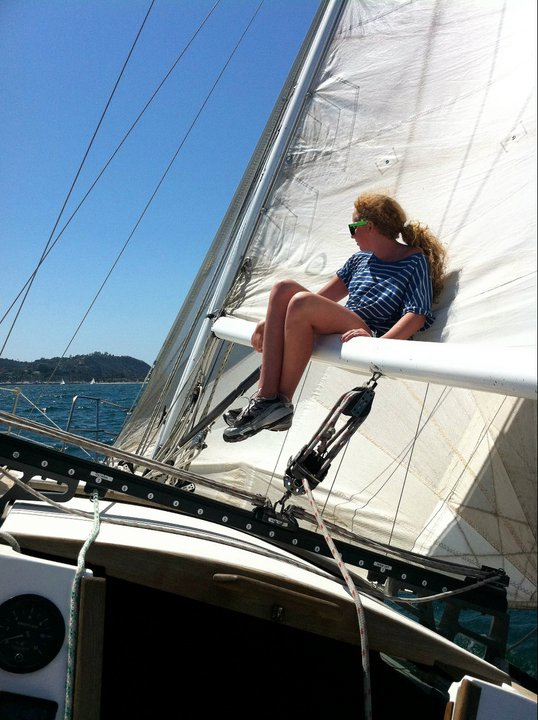 I am standing back and watching my little girl grow and develop into an independent grown-up woman. It’s not easy. You can read more about the highlights of Ellison’s talk here and I wrote more about “To thine own self be true” in Three Things to Tell Your Daughter on Graduation Night.